P.J. and Cole were sharpshooting rivals on the same KGI team and enjoyed a spirited, uncomplicated camaraderie. Until the night they gave in to their desires and suddenly took their relationship one step further. In the aftermath of their one-night stand, they're called out on a mission that goes terribly wrong, and P.J. walks away from KGI, resolved not to drag her teammates into the murky shadows she's poised to delve into. 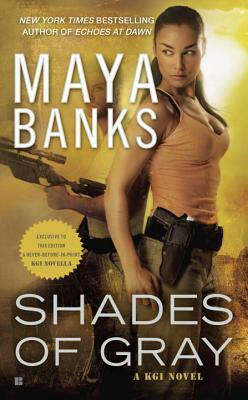 Maya Banks is the New York Times bestselling author of contemporary and historical romances.